Original Play at La Perla Garden this Weekend! For four weekends in June and July, four gardens across the city will host four original plays – a different play for each garden, a different garden for each weekend. 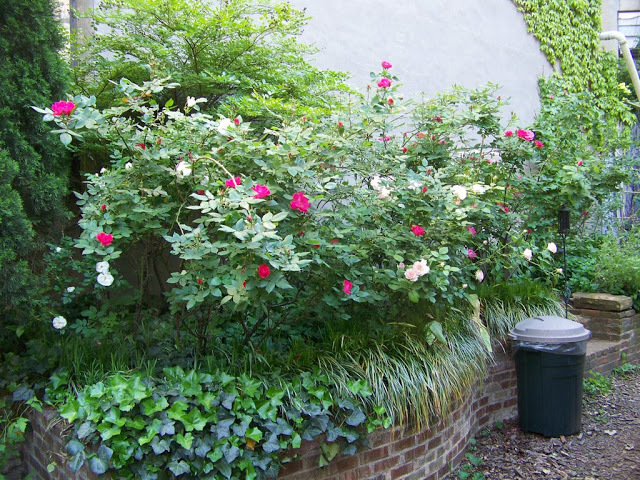 Each playwright was assigned a specific garden, which they then used as inspiration for a short play. The plays range from re-tellings of Greek myths to stories about human butterflies. All of them are directed by Lillian Meredith. The plays are 20-30 minutes long, with the hope that afterwards, the audience will stay and enjoy the garden. This weekend the play will be at La Perla Garden, located on West 105th Street between Columbus and Manhattan Avenues. The playwright is Tommy Smith. Tickets are FREE! I love this photo of La Perla Garden, especially the curve in the brick wall.